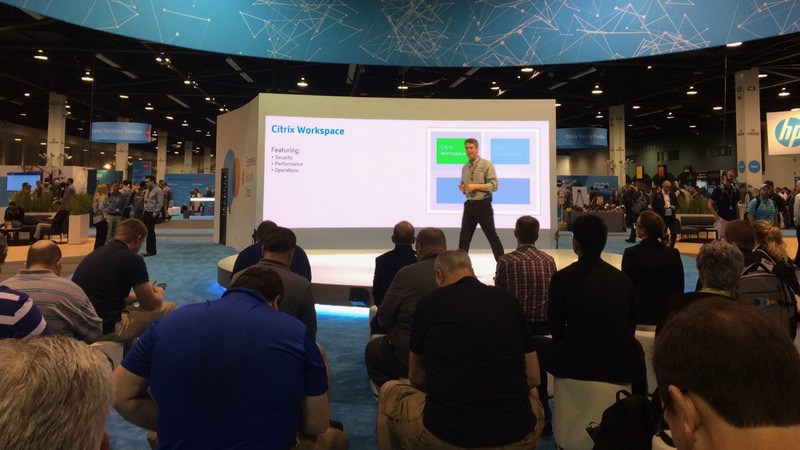 Anaheim, CA — Professional trade show presenter Andy Saks delivered two rotating booth presentations for Citrix at its annual Synergy trade show, held at the Anaheim Convention Center in Anaheim, California. Saks delivered a 10-minute, scripted Citrix “booth tour” to regular small groups by appointment, explaining the various areas of Citrix’s large main booth, and tying them to Citrix’s show themes. Alternating with booth tours, Saks delivered Citrix’s signature presentation, “Powering a Better Way to Work,” in the booth’s main stage. Citrix Synergy is Citrix’s main annual trade show and conference on all things Citrix, held every spring. Citrix booked Saks through Magnet Productions, a trade show talent company.